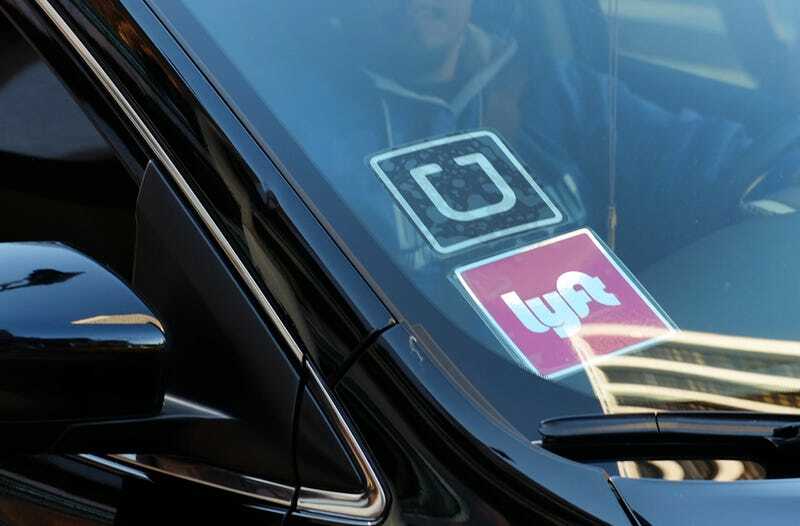 Maryland residents who rely on ride-sharing apps to get around town can still use Lyft and Uber, after a state commission Thursday exempted the companies from a fingerprint-based background check that taxicab drivers must submit to. The regulatory stand by Uber and Lyft rivaled a fight earlier this year in Austin, where both companies dropped $8 million to lose an election over the same issue, while simultaneously making residents there despise them. In 24-page order issued Thursday, the Maryland Public Service Commission agreed with Uber and Lyft that its background checks for drivers are “as comprehensive and accurate as the fingerprint-based background check,” effectively preventing an even larger-scale fit by the taxi startups from breaking out. Uber, whose background checks were called into question again this month after a driver in Michigan allegedly stabbed a passenger five times for tapping on his window, had threatened to pull out of Maryland if the commission didn’t side with its argument — a move that would’ve impacted reportedly 30,000 drivers in the state. The companies had to accept some concessions. As part of the order, Uber and Lyft have to re-run background checks on all drivers each year, alert the regulatory body of any changes to the background process, and commit to audits and accrediting by an arm of a background screeners association, because there really is an association for everything. Uber and Lyft didn’t immediately respond to requests for comment. A Lyft spokesperson told the Baltimore Sun that it looks forward to growing the company in Maryland next year. An Uber rep, meanwhile, told the newspaper the decision “ensures that tens of thousands of hard-working residents continue to have fair access” to the company’s transportation services. The decision marked a minor victory for the ride-sharing giant, amid a month of bad PR and losses in its battle against regulations. Uber had to re-deploy a fleet of self-driving cars from a San Francisco pilot program, after the company refused to pay a $150 state permit to use the vehicles on city streets. Tracking with its history of bucking the wishes of regulators, it announced 24 hours later that it was relocating the fleet to Arizona, which opened it with welcome arms. It is the holiday season after all, even for companies reportedly valued at $69 billion. Update: Uber provided the statement that was given to the Baltimore Sun from Tom Hayes, general manager for Uber in Washington DC, Maryland, and Virginia. “We want to thank the Public Service Commissioners for carefully considering the public safety protections Uber has put in place to ensure Marylanders have access to a safe, reliable ride throughout the state.